Perhaps buoyed by the warm reception of CraveTV’s AirPlay integration — contrasted with Shomi’s lack thereof — Bell Media has added support for Apple’s connected home standard to its TMN Go iOS app. The app, which is free to use for existing TMN cable or satellite subscribers, provides access to the company’s extensive collection of content on a smartphone, tablet, desktop, Samsung Smart TV or Xbox. The latest update for iOS also added iOS 8 compatibility, bringing the app’s proportions in line with iPhone 6 and 6 Plus sizing specifications. 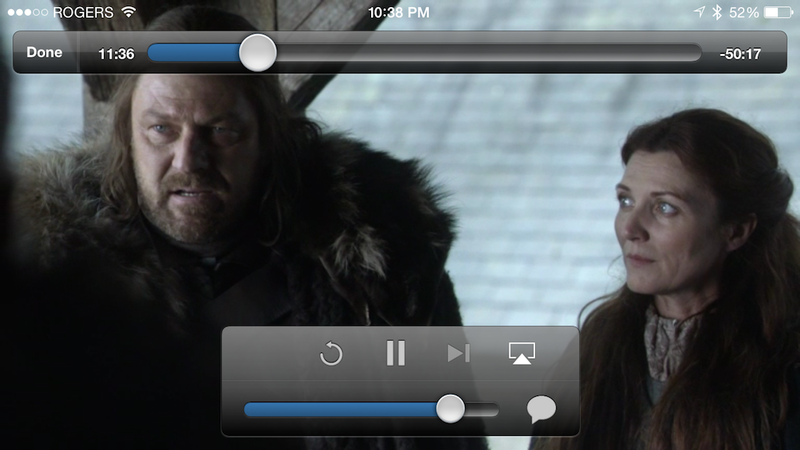 AirPlay support allows customers to stream TMN or HBO content from a smartphone or tablet to a connected TV through an Apple TV or Airport router, which was previously only available through mirroring on a desktop. Bell Media hasn’t commented on adding Chromecast support to TMN Go on either Android or iOS, but did mention that it was coming to Crave TV in the coming months. TMN Go continues to be an example of a cable and satellite-tethered service that, contrasted with complaints about Shomi and Crave TV’s relative exclusivity, has been relatively well-received. Bell likes to point out that TMN Go is available through more BDUs (Broadcasting Distribution Undertakings — companies that have broadcast licenses) than any other service in Canada, but it is unlikely that, like HBO Go in the US, it will be untethered anytime soon.